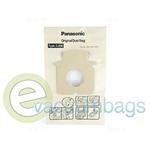 To help assure outstanding performance, use genuine Panasonic vacuum bags. Constructed of disposable paper, Panasonic standard vacuum bags trap dirt and dust sucked into your vacuum. These filter at 99% efficiency at 5 microns, also capturing fine dust, and allergens down to 0.5 microns. Panasonic Micron paper dust bags are particularly effective against fine dust, bacteria, pollen, mold spores and dust mites. These bags feature 2-ply construction with a high-efficiency liner, filtering at 99% efficiency, capturing particles as small as 0.1 microns. Special tab construction makes for easy bag change & disposal, trapping dirt and dust within the bag. Panasonic has also developed Allergen Performance Synthetic Cloth vacuum bags. These 3-ply bags are stronger than paper bags and ideal for asthma and allergy sufferers. The synthetic filter media inhibits the growth of mold, fungus and bacteria. These bags are particularly proficient at retaining fine dust and increasing capacity without compromising suction power. 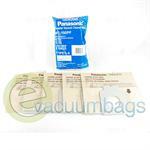 To keep your Panasonic vacuum at optimum performance, change the dust bag when full or every 1-2 months. 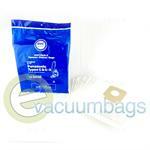 DVC Paper Vacuum Bags for Panasonic Canister Model Vacuums using Style C / C-3 Bags. Genuine High Efficiency Style C-18 Paper Vacuum Bags for Panasonic MC-CG8** Canister Model Vacuums. 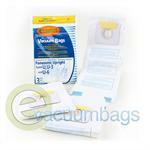 Generic EnviroCare 3-ply Style C-18 High Efficiency Paper Vacuum Bags for Panasonic Canister Models MC-CG885 and MC-CG887 Vacuums. 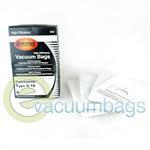 HEPA Paper Vacuum Bags for Panasonic Style C-19 Canister Vacuums. 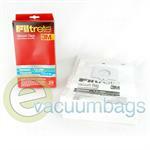 3M Filtrete Paper Vacuum Bags for Panasonic Model Vacuums using Style C-20E Bags. 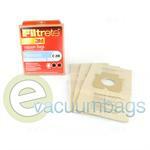 3M Filtrete Micro Allergen Paper Vacuum Bags for Panasonic Vacuums using Style C-5 and Style C-18 Bags. 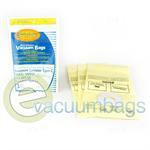 Generic DVC Paper Vacuum Bags for Panasonic Vacuum Cleaners using Style C-5 Bags. 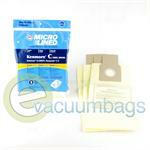 Micro Lined Paper Vacuum Bags, by EnviroCare, for Panasonic Style C-5 Canister Vacuum Cleaners. 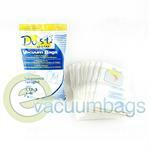 Generic DVC Micro-Lined Style C-5 Paper Vacuum Bags for Panasonic Vacuum Cleaners using Style C-5 Bags. 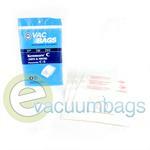 Generic DVC Micro-lined Paper Vacuum Bags for Panasonic Model Vacuums using Style C-5 Bags. 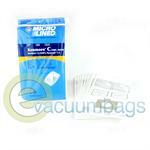 Generic EnviroCare Paper Vacuum Bags for Panasonic Upright Model Vacuums using Style U / U-3 Bags. 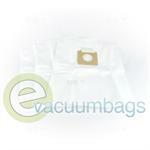 EnviroCare Replacement Style U-12 Paper Vacuum Bags for Panasonic Upright MC-UG773 and MC-UG775 Model Vacuum Cleaners. 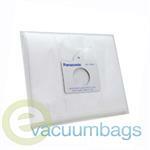 Generic DVC Micro-Lined Paper Vacuum Bags for Panasonic Model Vacuums using Style U-2 Bags. 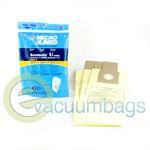 Commercial Upright Paper Vacuum Bag for Panasonic Model Vacuums using Style U-9 Bags. 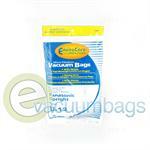 Generic EnviroCare Paper Bags for Panasonic Upright Model Vacuums using Type U / U-3 Bags. 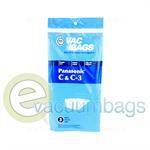 Generic Type C / C-3 Paper Vacuum Bags for Panasonic Canister Models. 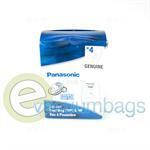 Generic EnviroCare Paper Bags for Panasonic Canister Model Vacuums using Type C and C-3 Bags. Genuine Type C-13 Paper Bags for Panasonic MC-3900 Canister Model Vacuums. 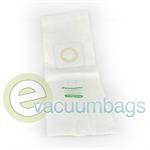 Disposable Type C17 / C20 Paper Vacuum Bags for Panasonic MC-CG467 Canister Model Vacuums. Genuine Type C-20E Paper Vacuum Bags for Panasonic Canister MC-CG4, MC-CG3, MC-CG467, and MC-CG381 Model Vacuums. 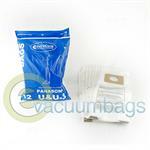 Genuine Paper Vacuum Bags for Panasonic Canister Model Vacuums using Type C-3 MC-125P Bags. 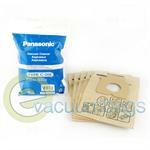 Genuine Paper Bags for Panasonic Canister Model Vacuums using Type C-4 Bags. Genuine Type C-5 Paper Bags for Panasonic MC-V150M Canister Model Vacuums. 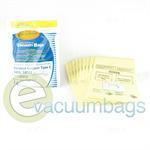 Generic Micro Filtration Paper Bags for Panasonic Model Vacuums using Type C-5 Bags. 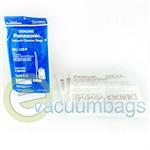 Generic EnviroCare Anti-Allergen Paper Vacuum Bags for Panasonic Upright Model Vacuums using Type U / U-3 / U-6 / U-12 Bags. 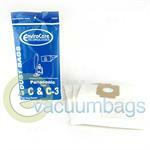 EnviroCare Paper Vacuum Bags with Dust Window for Panasonic Upright Vacuum Cleaners using Type U / U-3 / U-6 Bags. 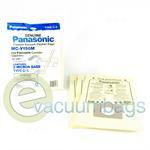 EnviroCare Paper Bags with Dust Window for Panasonic Model Vacuums using Type U / U-3 / U-6 Bags. 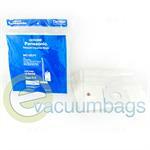 EnviroCare Micro Filtration Paper Bag for Panasonic Upright Model Vacuums using Type U / U-3 / U-6 Bags. 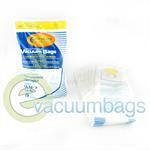 Generic Paper Vacuum Bags for Panasonic Upright Vacuum Cleaners using Type U / U-3 / U-6 Bags.